A beautiful young woman wakes up in a vast and mysterious undersea temple complex, not knowing who or where she is. She soon learns that she has been frozen in a death-like slumber in a secret crypt for over a century. Now she must escape the crypt and explore the ancient underwater chambers to unravel the mystery. Use your Hidden Object and puzzle-solving skills to help Anna unlock the enchanted Royal Relics, and reveal the terrible secrets of the Empress of the Deep! 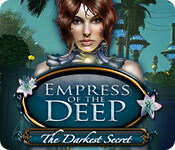 Empress of the Deep: The Darkest Secret is rated 4.0 out of 5 by 50. Rated 5 out of 5 by jewgirl952 from Simple and Fun This game doesn't have the high graphics that others do, but I actually enjoyed this more than the high graphics games. It's simple and very fun. Rated 5 out of 5 by smilingsun72 from Captivating Pearl of the Deep! Completed game: Though this is an older game I really liked it. It was refreshing to play something that didn't have all the bells and whistles. The story was captivating. The graphics a beautiful. The puzzles were a variety. And the voice acting was well done. There is a map but no fast travel or clues. The hint button recharges fairly quickly. I did like the fact that "completed" appeared in the upper left corner of the screen when I finished the area. I recommend this game. Rated 5 out of 5 by Boomer1097 from Excellent Game for Beginners to HO I really enjoyed this game! I purchased it several years ago and just got around to playing it. While I usually play more challenging games, I like having a few games that take a bit less effort. You awake in a underwater world and have to discover why you are there. You have a book to journal, record hints, track collectibles and follow your progress on a map. You also have two "helpers," but you have to figure out which one to believe. There are several locations to visit and the HOs and mini games are straight forward. The graphics are nice, not as stunning as some of the current games, but nice. The voice overs are well done and the music is unobtrusive (which I prefer). While the story is not complex, I enjoyed it. I would definitely recommend this game to someone new to HO games or to someone who wants to play a HO game that is not overly complex. Rated 5 out of 5 by Taintedfury from Empress of the Deep: The Darkest Secret Very enjoyable game with lots to do..loved the storyline and the underwater city. Highly recommend. Thanks Bigfish. Rated 5 out of 5 by thatfewgirl from Everything about this game is amazing! 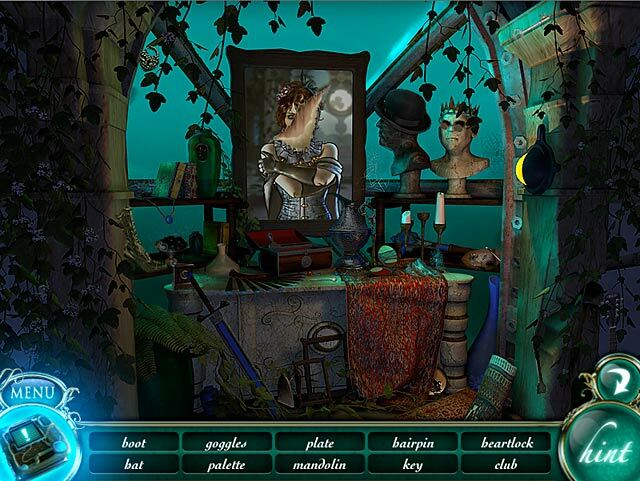 This is my favorite Hidden Objects Adventure game. It's interesting, entertaining, thrilling... There's an obvious bad guy that we have to defeat. The objectives for this game were very straightforward and helpful. The only thing I didn't like about this game was the point of view, Anna, who seemed a little dumb. Could've been the voice actor, though. Overall, FANTASTIC game! Rated 5 out of 5 by AyeKCB from Fantastic! I began playing this game when I was joined by my daughter and she is a geek who can play in expert mode. So she began running through the game like a rocket and I had no time to enjoy the beautiful graphics and the story line. So I waited when she was otherwise occupied and I gave myself a new profile and started again but the music sold me out. She came running "oh you are playing empress of the deep without me". This game is so wonderful, all the Empress of the Deep games are. They are like a movie with you being the heroine. It is Fun, Fun, Fun. 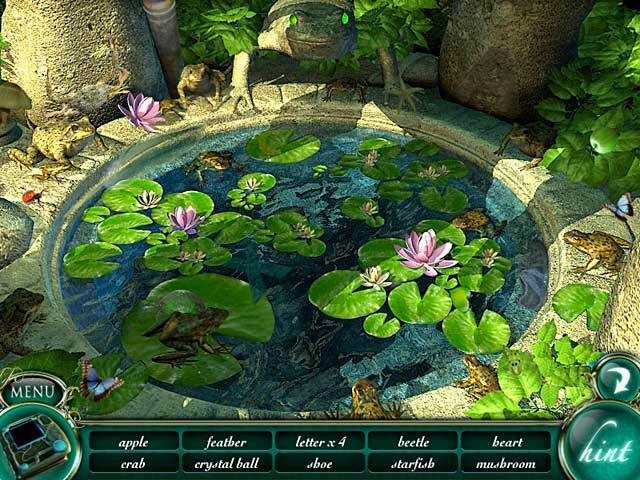 Rated 5 out of 5 by RVKittykat from Hidden Object Game I loved this game but did need a walkthrough to help me past the really challenging spots. I really got into the location of this game which not all games accomplish. There is nothing more I can add that is positive that the other people here have not already said. This game is a keeper and I know I will find myself playing it again in the future. As a beginners game I wouldn't recommend it, but for someone with some HOG experience, it's fantastic. Rated 5 out of 5 by rosekaufmann from BEAUTIFUL UNDERWATER - NOT DARK AT ALL About 3 ½ - 4 hours, depending on how well you finish the last task. Has “Area Completed” notations, which I like so as not to waste time backtracking to nonproductive locations. There is a map which shows where you are and, if you move the mouse over it, will show you a picture of what is located where. However, it would be better if it were a fast-jump map. Diary has map, flowers you’ve collected, and clues. Hint isn’t too helpful except in HOS. Outside the HOS, it shows you a map of where you are and circles where you need to be. This is the 3rd time I’ve played this game, and got stuck more than the 1st two times – go figure. Very pleasant voices, except that Jacob speaks too slowly. No way to speed him up, although you can skip the conversations (but you’d miss part of the story). There is a good interplay between Jacob, Anna and a little mysterious girl who seems to befriend Anna. Underwater scenery is very pretty and nicely detailed. Story is well put together and is continued in two additional Empress games. Rated 5 out of 5 by jocasta1 from Beautiful imaginative graphics! I loved this game, and am now playing the sequel. The graphics and the imagination shown in making this undersea world are amazing! The story is good, as are the voice overs, and the hidden object scenes are fun, but it was the fabulous scenery that kept me saying WOW! Explore beautiful underwater temples! 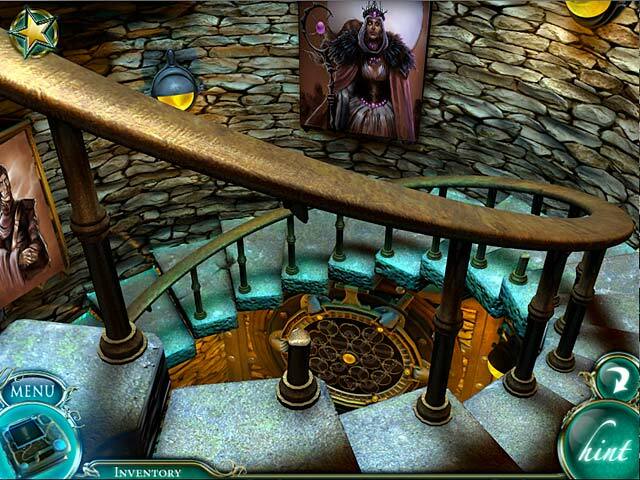 Search for artifacts to uncover the dark secrets of the Evil Empress and her hideous plans.